The World Health Organisation (WHO) has elected Dr Tedros Adhanom Ghebreyesus as its new Director-General, reports NaijaAgroNet. Dr Tedros Adhanom Ghebreyesus, NaijaAgroNet gathered, was nominated by the Government of Ethiopia, and will begin his five-year term on 1 July 2017. Remarkably, this is the first time, since 1941 that an African is elected to this post and the first time ever that the whole African continent had one candidate. 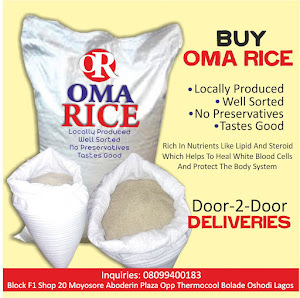 NaijaAgroNet also gathered that prior to his election as WHO’s next Director-General, Dr Tedros Adhanom Ghebreyesus served as Minister of Foreign Affairs, Ethiopia from 2012–2016 and as Minister of Health, Ethiopia from 2005–2012. He has also served as chair of the Board of the Global Fund to Fight AIDS, Tuberculosis and Malaria; as chair of the Roll Back Malaria (RBM) Partnership Board; and as co-chair of the Board of the Partnership for Maternal, Newborn and Child Health. 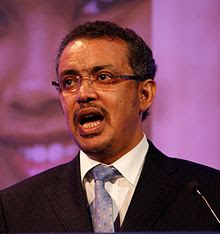 As Minister of Health, Ethiopia, Dr Tedros Adhanom Ghebreyesus led a comprehensive reform effort of the country's health system, including the expansion of the country’s health infrastructure, creating 3500 health centres and 16 000 health posts; expanded the health workforce by 38 000 health extension workers; and initiated financing mechanisms to expand health insurance coverage. As Minister of Foreign Affairs, NaijaAgroNet reports he led the effort to negotiate the Addis Ababa Action Agenda, in which 193 countries committed to the financing necessary to achieve the Sustainable Development Goals.